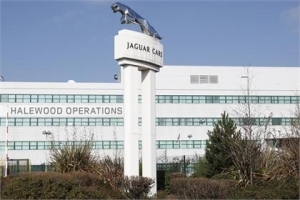 Tata-owned Jaguar Land Rover has said it will invest over 150 million pounds more in its new engine plant in the West Midlands, UK , taking the total to more than 500 million pounds. 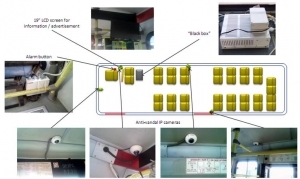 Conceptualised and manufactured in India, this indigenous on board bus surveillance solution is set to impart a greater sense of security among the commuters and make bus journeys a safer experience. Keeping in mind the growing demand for on-location surveillance systems for buses, Gurgaon based Shyam Networks (a division of VNL) has announced the availability of its “On Board Bus Surveillance Solution”. Conceptualised, designed and manufactured at its facility in Gurgaon, India, this solution is perfect for Indian conditions and comes at a time when the public transportation sector is seriously looking at enhancing the security cover inside buses. The IP based On Board Bus Surveillance Solution helps transport authorities meet their surveillance goals effectively and ensures better safety for the passenger community. A lawsuit filed by former International Monetary Fund (IMF) chief Dominique Strauss-Kahn in France has been rejected that sought ban the publication of a book written by his ex-lover. Beauty And Beast, written by Marcela Iacub, outlines account of her affair with the former French politician. According to the BBC, Strauss-Kahn had complained that he was "horrified" by the book. Although it can now be published, the book will have to include an insert, and Iacub and her publisher must pay 50,000 euros (43,100 pounds ) in damages. Mr. Park Young Sun is the mayor of Guri City in Gyeonggi province, South Korea. After graduating from Kongju National Teachers College, he joined the Korean diplomatic service and served the Ministry of Foreign Affairs in various capacities. The National Bank of Pakistan (NBP) is set to establish a banking channel between India and Pakistan by opening a NBP branch in Mumbai or Delhi. NBP President Dr Asif Brohi stated that NBP has already contacted the Reserve Bank of India to seek permission for establishing the NBP branch in India and is awaiting a formal approval, the Daily Times reports. The eventual fate of our Universe may be determined by probing the properties of the Higgs boson, scientists have said. They believe that a concept known as vacuum instability could result, billions of years from now, in a new universe opening up in the present one and replacing it, the BBC reported. It all depends on some precise numbers related to the Higgs that researchers are currently trying to pin down. A "Higgs-like" particle was first seen at the Large Hadron Collider last year. Associated with an energy field that pervades all space, the boson helps explain the existence of mass in the cosmos. In other words, it underpins the workings of all the matter we see around us. British Prime Minister David Cameron became the first head of government from his country to visit Jallianwala Bagh on Wednesday, and called the April 13, 1919 massacre of unarmed civilians as a tragic and a "most shameful act in the history of Britain". Cameron also visited Amritsar's Golden Temple and paide his obeisance before moving on to the Jallianwala Bagh memorial. It was on April 13, 1919, that people, including women and children, who had gathered peacefully inside the Jallianwala Bagh grounds for Baisakhi celebrations and to voice their protests against British colonial rule, were gunned down by troops on the orders of Colonel Reginald Edward Harry Dyer (9 October 1864 – 23 July 1927). Google is likely to open retail stores by the end of the year in the US, a report has said. The Internet search giant will open the stores to boost its profile among shoppers for its Google Nexus devices, Chromebooks and other products. 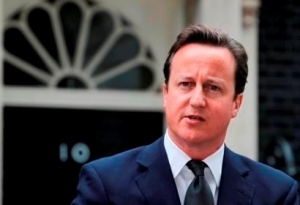 British Prime Minister David Cameron has said he is determined to make it easier for Indian businessmen and students to work, study and invest in the UK, as he arrived in India for a three-day visit. On his arrival to Mumbai as the head of the largest trade mission ever, Cameron made clear that in return, he wanted India to tear down outdated barriers to investment and help UK-based companies in areas such as insurance and banking to establish a foothold in the fast-growing economy.According to the Daily Star, speaking on the first day of his second visit to India as PM, Cameron revealed he was talking to the government in Delhi about the prospects for a new corridor of development between Mumbai and Bangalore. The Family Federation for World Peace and Unification (FFWPU) will hold the International Mass Wedding Ceremony, also known as the Cosmic Blessing, at 11:00 a.m. on February 17, 2013. (Korea Standard Time) at the Cheong Shim Peace World Center in Gapyeong, Korea. The Family Federation’s wedding ceremony is the largest mass wedding in the world. This will be the first wedding ceremony in which Dr. Hak Ja Han Moon will officiate the ceremony by herself after the ascension ceremony (Seonghwa) of her husband, Rev. Dr. Sun Myung Moon six months ago. The wedding ceremony takes place before “Foundation Day,” (Giwon Jeol), which is the day that Dr. Sun Myung Moon proclaimed 12 years ago to be the day of unity and peace. The Foundation Day event signifies a new era for FFWPU centered on Dr. Hak Ja Han Moon. Sales of mobiles phones have fallen for the first time since 2009 as consumers opt for expensive smartphones rather than cheaper handsets, a report has said. According to the research firm Gartner, overall in 2012, 1.75 billion mobile phones were sold, down 1.7 per cent from 2011. Samsung and Apple continued to dominate the market, with the Korean giant selling 385 million phones in 2012, of which 53.5 per cent were smartphones.According to the report, with Apple sold 130 million smartphones in the same period. The first 'pay-by-tweet' service has been launched on Twitter, with American Express introducing a service that will allow its cardholders purchase products simply by sending a short message. The integration of a leading payment mechanism into Twitter represents one of the most ambitious attempts yet to build ecommerce directly into a social media site. How will the iPhone5S improve gaming? The iPhone 5 has been a massive success since its launch in the middle of last year. As with all the products in the Apple stable the iPhone 5 was a perfect mix of innovation and style giving it the “must have” factor that so many handset manufacturers strive for. As well as this, the larger screen and improved operating system meant big things for gaming, particularly for those who enjoy taking their games with them wherever they go. Accelya streamlines critical financial processes for bmi regional including Passenger Revenue Accounting, Card Management, Sales Audit and Refunds.Mumbai, 12th February 2013: Accelya, the leading solutions provider to the airline and travel industry, today announced that bmi regional, the British regional airline, has outsourced its passenger revenue accounting, sales audit, refunds, card billing and chargeback processing to Accelya. In keeping with its focus on innovation to deliver the full potential of wireless, Shyam Networks, a division of Vihaan Networks Limited (VNL), has announced the release of its white paper titled, “Adaptive Coding and Modulation: Enhance Operational Efficiency of Wireless Backhaul”. Authored by Sapan Goel, Head, R&D, Data and Radio Products, Shyam Networks, the white paper provides critical insights in increasing efficiency of wireless backhaul. Rising demand for data services and smart phone usage, has multiplied data traffic exponentially and increased pressure on operators. It is therefore critical for them to use spectrum efficiently and increase capacity in wireless backhaul networks. Dr.Sun Myung Moon will be remembered passionately by the coming generations for his concerted efforts towards building a viable peace and harmony in the world. He was, in fact, an angel of peace, family unity, and inter-faith dialogue who invented new traditions and ways to organize universal gatherings of diverse religions/faiths in the contemporary world within the forums of UNO and without for the sole purpose of learning the basic lessons of living together harmoniously and with compassion for one and all. Father Moon was not an armchair philosopher who philosophized idyllically in the realm of mere dreams and thoughts, but a karmayogi (a man of action) who firmly believed in practical actions now and here in the real world of our day-to-day existence. Reverend Dr. Sun Myung Moon was no doubt one of the greatest spiritual leaders and champions of world peace in our times. He is affectionately known by millions of his followers and devotees as “Father Moon.” Father Moon attached his life-long goal of world peace and the permanent faith in loving God with the bounties of simple but inexplicable nature. He used to say, “If you empty your mind and receive nature into your entire being, there is no separation between you and nature. Nature comes into you, and you become completely one with nature. In the moment that the boundary between you and nature disappears, you feel a profound sense of joy. Then nature becomes you, and you become nature”. Father Moon was thoroughly convinced that “Everything around us was given birth through a combination of forces so complex we cannot even imagine it. Internet search giant Google has signed a deal with UK based satellite TV service Freesat to launch a full-blown YouTube television channel. The deal will help to boost YouTube, which last year launched 60 broadcast-style channels featuring programmes by some of the UK's most respected production companies. AIBTM, The Americas Incentive, Business Travel & Meetings Exhibition (www.aibtm.com), have announced that Hosted Buyer applications are now being accepted online. The Hosted Buyer programme is a highlight of AIBTM 2013, which takes place June 11th – 13th June, 2013 at McCormick Place in Chicago, giving top-level buyers the opportunity to meet with exhibitors of their choice for focused one-to-one appointments. As Information Communication Technology (ICT) takes a bigger and bigger place in our day-to-day lives, cyber security becomes an essential requirement, states a new report by GBI Research. The new report* states that smart security represents a core product within the smart cities market, due to the growing complexity of data management, which now presides over much of our day to day life, and the resulting threat of viruses and malware. Visiting Premier of Canada's Manitoba Province, Greg Selinger, has congratulated Manitoban firms for growing their business with India, and welcomed a major Indian firm that has established its Canadian headquarters in provincial capital Winnipeg. "India is one of the world's fastest growing economies and with our strong cultural and business connections, there's huge potential for greater trade between our economies," said Selinger, Manitoba's 21st premier. "Homegrown companies like Westeel and MTM are thriving and sharing Manitoban expertise with India, helping store their grains and foods, and power their homes and businesses. And Indian firms like Riya Travel are taking advantage of opportunities in Manitoba," he added.